I don't know who he is behind that mask of his, but I know when we need, and we need him now. 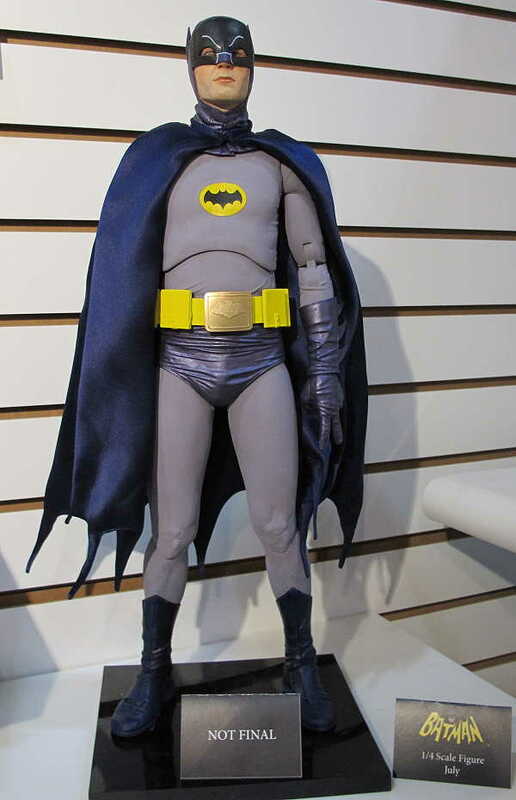 I need all the Batman TV series toys that are coming out this year that is. The latest sneak peek is of this 18" 1966 Adam West Batman figure from Neca. There are a lot of great looking 18 inch figures out there and I have been very tempted to buy them in the past, but have always passed. Until now that is. I have officially added this figure to my wishlist. From what I read this will go for less than $100, but could go for as little as $50. More updates as we learn more. It does look great JBoy. I looking forward to seeing and owning the final product. Hopefully, they'll make a Joker too Dr. Theda.